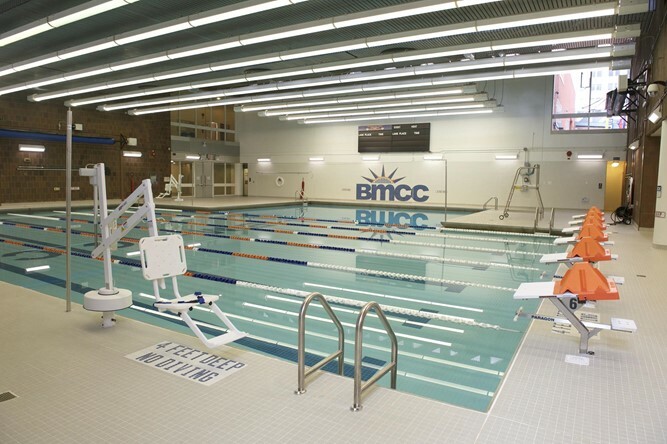 A $7.2 million renovation of the Borough of Manhattan Community College’s (BMCC’s) aquatics center has been completed. The Dormitory Authority of the State of New York (DASNY) served as the project manager for the project at the school, part of the City University of New York (CUNY) system. The aquatics center is located in the main campus complex on Harrison Street and the West Side Highway in lower Manhattan, with an entrance at 77 Harrison Street. The renovation included a 220,000-gallon pool with six competition lanes, each of which is six feet wide and 25 yards long. Stalco Construction was the general contractor on the project. The team included construction manager AECOM; the architect and engineer of record was MP Engineers & Architects; Genesys Engineering P.C. was the mechanical, electrical and plumbing (MEP) engineer; Eldor Contracting Corporation was the electrical contractor; Premier Mechanical Services, Inc. served as mechanical contractor; ARA Plumbing Corporation was the plumbing contractor; and the waterproofing and tile work subcontractor was Baybrent Tile Corporation. The Stalco team replaced or repaired the steampipes, made extensive concrete repairs on the south and west sides of the pool, and upgraded the HVAC systems.